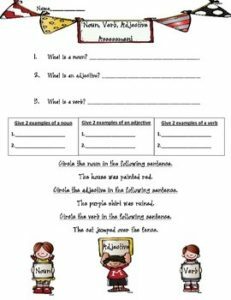 This is just a one page assessment that I use to assess my kids after we do our noun, adjective, and verb unit. The students have to define each word, give two examples of each, and circle each in a sentence. Let us know if you have any questions! Thank you!